Finland is to introduce a basic income for some citizens from next month, becoming the first country to adopt the policy. Two thousand unemployed people will be given €560 (£480) every month for two years, without any restrictions or conditions attached. Leaders hope the move will improve life quality, reduce unemployment and create jobs. Recipients will not need to prove they are looking for work and the money will be given regardless of any other income the person earns. 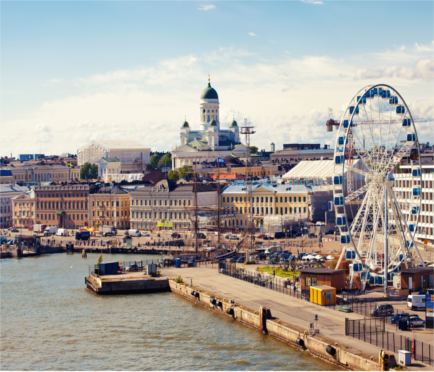 The Finnish government is planning to study whether the policy helps recipients find work. It suspects many unemployed people are put off getting a job because they will lose unemployment benefits and therefore be worse off financially – a similar problem to that which tax credits were designed to solve in the UK. The Swedish Ministry of Social Affairs and Health said in a statement: “The Government proposes the implementation of a basic income experiment. The experiment [will] be carried out in 2017 and 2018, and its aim is to show whether basic income can be used to reform social security so that incentive traps relating to work are eliminated. “The primary goal of the basic income experiment is related to promoting employment. The experiment, including follow-up research, aims to find out whether basic income promotes employment." The 2,000 unemployed people will be selected at random. They will not have a choice as to whether they take part in the trial but will automatically be given the money each month. If successful, the experiment could lead to a basic income being given to more Finnish people. A number of other countries are believed to be exploring the idea of a universal basic income. Earlier this year the Swiss government held a referendum on whether to pay every citizen around 2,500 Swiss francs (£2,000) per month, but the policy was decisively rejected by Swiss voters. In the UK, John McDonnell, Labour’s Shadow Chancellor, has expressed support for a universal basic income but the Conservatives have called it "unaffordable". There are different variations of a universal basic income but the core principle is the government giving everyone a certain amount of money each month. Supporters of the idea claim it will enable people to work less if they choose to, reduce inequality and cut total welfare spending. Others say it is likely to be excessively expensive and disincentivise hard work.